Today, at the premises of the National Audit Office, a working roundtable was held with Civil Society Organizations where the National Audit Office Strategic Plan 2018-2021 was presented and possible topics for performance audits were discussed for inclusion in the annual work plan for audit season 2018 -2019. 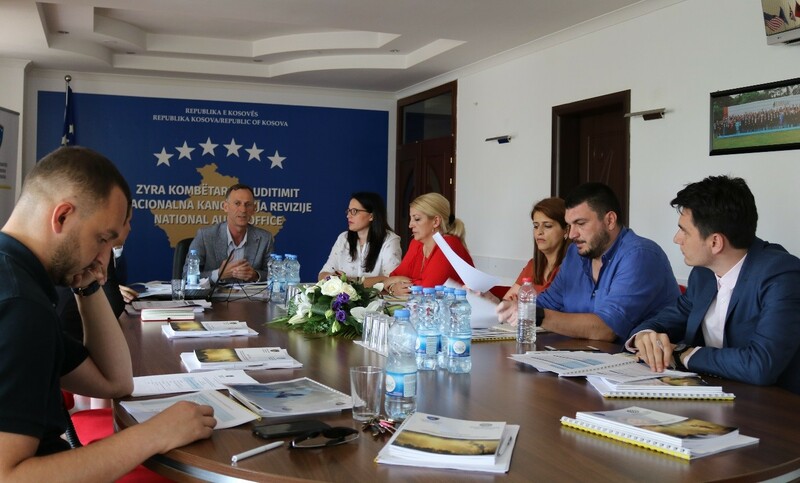 The Auditor General, Besnik Osmani, in his opening remarks at this roundtable, emphasised that cooperation with civil society is very important and that the proposals and suggestions coming from these organizations are handled in a special way. Deputy Auditor General, Mr. Ilir Salihu, during the presentation of the Strategic Plan of the NAO, has disclosed detailed information on the goals and strategic objectives of the NAO to be implemented according to this plan including environment analysis and identification of the challenges and gaps with which the NAO may face in the next three years during the execution. The participants have highly acknowledged the readiness of the National Audit Office to be open and cooperative with civil society, while the Strategic Plan of the NAO is assessed as ambitious but which can be implemented with sufficient engagement and funds. The participants assessed that the NAO has shown a significant increase in performance in recent years, while the importance of increasing the number of performance audits is assessed of particular importance. The discussion of the Draft Strategic Plan of NAO 2018-2021 will continue in the coming days with other partners and stakeholders of the NAO.